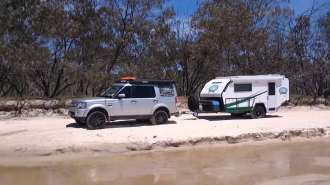 This is a discussion that most of us have had one time or another in the campsites and caravan parks around our country. On the one side, you normally find the “experienced” caravanner who has towed all his life without a stabiliser and has never experienced any problems. On the other side, you normally have mister “safety gadget” that will try anything, if he thinks it will make life easier or safer for him and his family. Every year thousands of South African take to the roads with their caravans in tow. 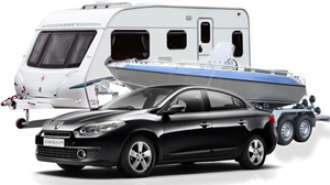 Whether you’re towing a boat, a horse box or a houseful of furniture, towing presents challenges to both the driver and the tow vehicle. Here are some top tips on how to keep your travel trouble free. 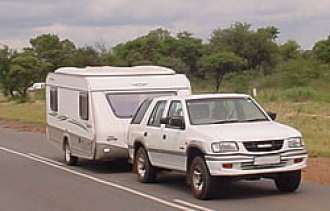 CaravanParks.com Comprehensive Manual to Safer Towing. If you find yourself getting aggravated while reversing a caravan, stop! Ask yourself if you really do have to do it here. Seek assistance: maybe even get someone else to do it. Or have a cuppa and try again. 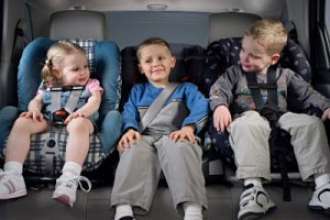 The growing awareness of safe driving and the “Arrive Alive” campaign, and our National Road Safety Laws has alerted the general public and parents to the importance of using car seats for their small children whenever and wherever they are driving. No matter the distance. Everyone thinks caravans cause traffic holdups, but what they don't realise, it isn't the caravan that's holding you up, it's the driver who doesn't know how to tow it effectively. 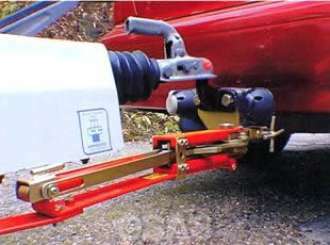 The Caravan manufacturer (JurgensCi) does not advocate fitting a tow bar to the rear of a caravan as they quite rightly say that the Caravan's chassis were not designed with this in mind and that the towing dynamics may be seriously affected. With the vastly improved road system in South Africa, the National Highways and Toll roads, the modern high performance motor vehicle is capable of towing the modern low profile caravan at higher speeds today than ever before. 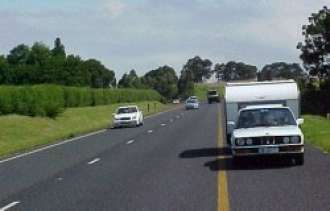 There is no reason why one should not be permitted to tow at 120 km/h today on the open road.